Hon. 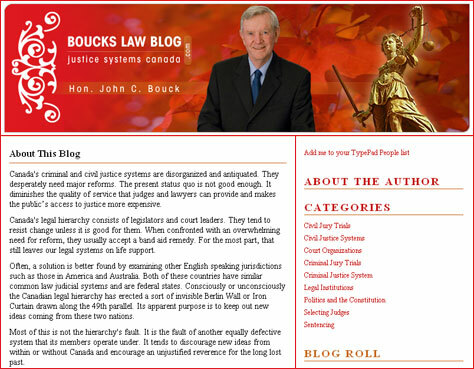 John C. Bouck is a retired BC Supreme Court judge, longtime author and advocate for legal system reform. 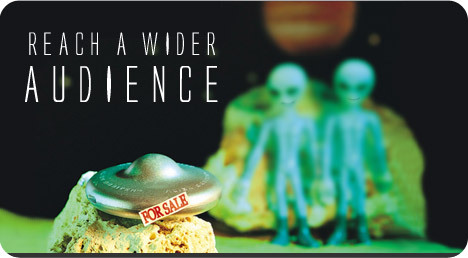 He was ready to embrace the new publishing medium - a blog - when he contacted Star Global for recommendations. Instead of creating something plain looking using do-it-yourself blog software, a more unique and professional design was agreed to create a better impression. After completing analysis with Star Global, the requirements were to have something look professional and still be easy to manage. The recommendation was to use a hosted Typepad blog account for its ease of administration. A marketable domain name was connected, and the template was customize to provide a one-of-a-kind design. John can include "www.boukslawblog.com" in a signature as part of letters to the editor in Newspapers, and any correspondence. After launching the blog, the already established blogosphere in the legal community were instantly receptive. A number of blogs announced the arrival of Boucks Law Blog immediately, and trackback links and blog roll links were forthcoming.